Sometimes images are saved upside down, and we need to rotate them prior to publishing online or sharing with friends. If you need to rotate only one image, then all you need to do is use Paint or Picasa, or any other free image editing software. However, at some point you might want to rotate PNG images in batch. And that's when you want to know how to rotate PNG files quickly! If you type this in Google, you'll be surprised at how simple the solution is! 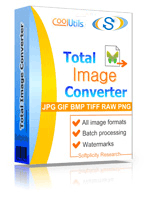 All you need to do is to install Total Image Converter. 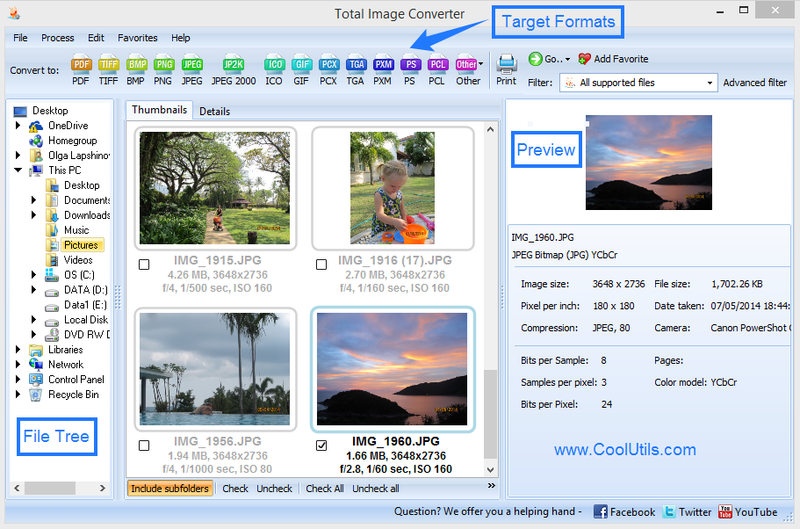 Having been developed by CoolUtils, this program is perfect for rotating, resizing and cropping images in batch. Initially, it was designed to convert images to such formats as JPG, GIF, BMP, PCX, PNG, TIFF, RAW, etc. 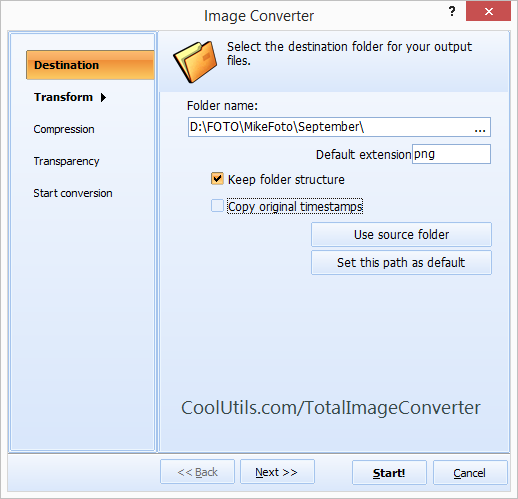 But thanks to the extended functionality of the converter, users can also easily transform images. Download the program. A fully functional version is available for a nominal fee; a free 30-day trial version is offered for evaluation purposes. Install the converter following the instructions of the setup wizard. Launch Total Image Converter. Intuitive user interface is for those who need visual help, and command line can be used by experienced computer users for quick access. Select folder where PNG images are located. Then, select all the PNG files you want to rotate. Click the 'PNG' button to preserve the original format before transforming. In the new window, select the 'Transform' tab, and then the 'Rotate' tab and choose the desired image orientation. The conversion process begins once you click the 'Start!' button. It takes only a few minutes, the exact time depends on the number of files being processed. 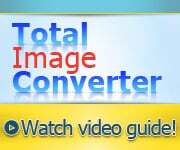 Click here to download a free 30-day trial version of Total Image Converter! To upgrade to a fully functional version, buy the converter now!